These three cards were sent by frequent contributor Bo, way back in August. I'm just getting to them now. Sorry Bo. 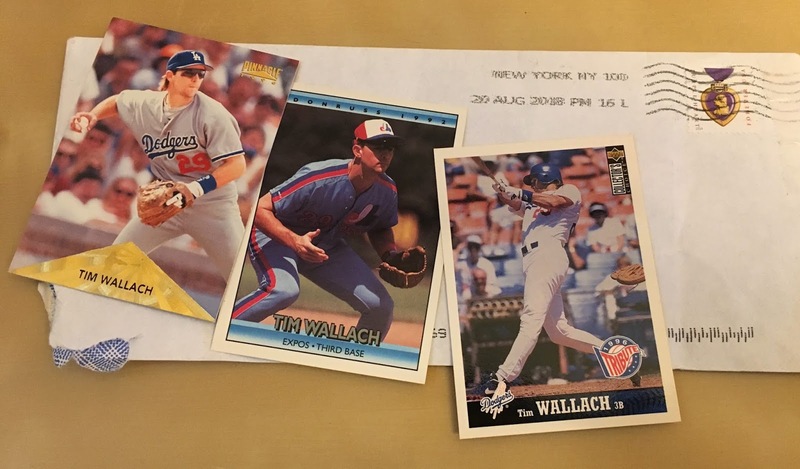 The 1997 Collector's Choice was the only Wallach card produced in 1997, and as result serves as the only "bookend" card for Wallach with his full career stats. So despite it's less than thrilling design, it's always been one of my sentimental favorites. Always glad to contribute! Let's do a vintage trade soon, would be happy to help some of your non-Wallach needs.